Climbing Mount Everest is one of the hardest things any human can do, but climbing it with an artificial leg is something unbelievable. That’s what Arunima Sinha’s story is all about; a story of the triumph of the will. Arunima Sinha, a former national level volleyball player who lost her leg after being thrown off a train, has scaled Mount Everest and became the first woman amputee to scale the mountain. 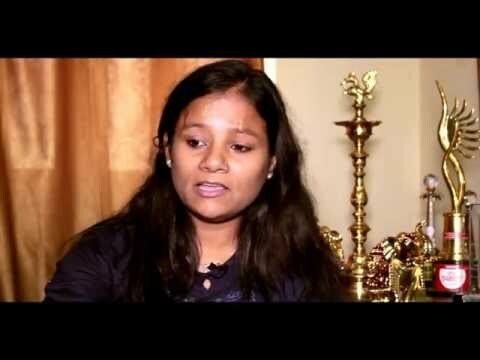 In April 2011, life took a complete turn for Arunima Sinha. She was pushed out of the train after she refused to hand over her gold chain to robbers. She was hit by a passing train and was seriously injured. Police disputed her version saying she was either attempting suicide or had jumped out to evade arrest for travelling without a valid ticket. The fate of the case is unknown. She was hospitalized with serious leg and pelvic injuries and in a bid to save her life, doctors had to amputate her left leg below the knee. A rod had to be inserted in her leg to provide support to the damaged limb. I was shattered. Here was someone who was totally independent, and now I was dependent on others for support. Visitors who came to see me at the hospital showed sympathy. But then I decided to do something that would inspire others. However, the accident could not stop her from dreaming the impossible. On 21 May 2013, she stood on top of the world, defying all conceivable odds and achieved what was unimaginable to many. Arunima Sinha, 26, became the first woman with an artificial limb to achieve the feat. She is also the first Indian amputee to climb Mount Everest. Equipped with a prosthetic leg and an iron will, Arunima Sinha rang up Bachendri Pal, the first Indian woman to scale Mount Everest in 1984, as soon as the hospital discharged her four months later. She had read about Pal, but did not know her personally. Pal heads an adventure foundation, supported by India’s Tata Steel company, in the city of Jamshedpur in the eastern state of Jharkhand. Sinha underwent a year of rigorous training in Uttarkashi in the northern state of Uttarakhand which demanded toughness – both physical and mental. It took her 52 days of torturous climbing on the snowy peaks to conquer the 8,850m (29,000 ft) summit. At one point, fearing that her energy and oxygen levels were depleting fast, her team leader suggested her to return, but she refused. While descending, she began to sweat so profusely that at one point she felt the prosthetic leg would slip out. Arunima Sinha may have lost her leg in a railway accident, but she has achieved what few can think of and that too within two years of such a dangerous accident. The woman amputee who created a world record by climbing Mount Everest received the Padma Shri award in January 2015, the fourth highest civilian award in India. Arunima Sinha’s book titled ‘Born on a mountain’ was recently launched by the Prime Minister Narendra Modi. She is now busy with plans to open a sports academy for the poor and physically challenged children. I was completely surprised when officials from the ministry of home affairs called me to inform about the award two days ago. It is a great honour and will encourage persons like me to live with confidence and strive to do better in life. Arunima Sinha has proved to the world that legs may help one to climb mountains, but what one really needs is a heart, a brave heart. She has turned her artificial leg into her strength. Today’s youths will definitely derive inspiration from the achievers like Arunima Sinha, who has etched her name in history for her extraordinary and brave achievement, despite all odds.